If you think shopping for clothes is hard, try shopping for a pair of work boots that last! In-soles that flatten out, eyelets that tear open, out-soles with holes, ankle areas that rub, snapped in half laces, torn open eyelets, steel toes that start to show, and so on. Years ago, the general rule of “the more you spend, the better shoe you get”, was certainly true. These days, with more and more manufactures moving production overseas, it’s just no longer the case. With quality control taking a dive, durability has become more of a hit or miss. Even some of my old favorites have started falling short. So, I started asking men in various construction trades and other industries that put a punishing tax on the toes, what their preferred work boots were. From landscapers to electricians, carpenters, general contractors, outdoorsmen and many more. If they their boots were subject to abuse on a daily basis, I wanted to hear from them. Not to mention, if I was going to buy another pair of work boots, I wanted to be damn sure they’d actually last myself. What you’ll find below are the results; the top 20 best work boots for men. If you’re looking for longevity, it’s a step in the right direction. If you like things that are still made right here in the good old USA, Thorogood has you covered. Their 6″ Moc Toe boot features: A stylish black walnut-oil tanned leather construction, which, more than often outlasts the life of the sole. Speaking of the sole, you’ll find a MAX-wear wedge outsole that’s both oil and slip resistant. A look inside reveals a removable dual-density ultimate shock absorber with a Poron 4000 cushion for comfort. In terms of quality and craftsmanship, these USA made boots are top notch. Needless to say, there a testament to Thorogood’s 120th anniversary. There’s a lot to like about Timerberland’s Pro Boondock work boots. These 6″ boots feature a premium waterproof leather and membrane to keep your toes dry. A rubber toe protector prevents early abrasion from everyday wear and tear. Plus, a three-quarter Goodyear welt heel construction to keep you feet firmly on the ground. Meet the fusion between a hiking and heavy duty construction boot. 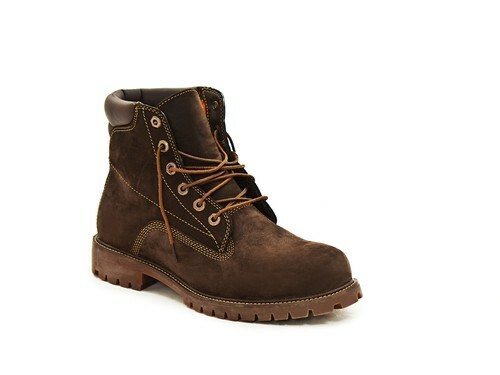 The Wolverine Hudson steel toe boot, features Nubuck suede leather and a mesh upper/inner lining for keeping cool. While it looks chunky, you’ll be surprised by just how lightweight these boots feel while moving around on the job site. Designed with oil rig workers in mind, Timberland’s PRO Rigmaster XT boots take fuel and oil environment safety to all new heights. The 6″ steel toe boot features a rubber vamp alongside an oil resistant polyurethane outsole. 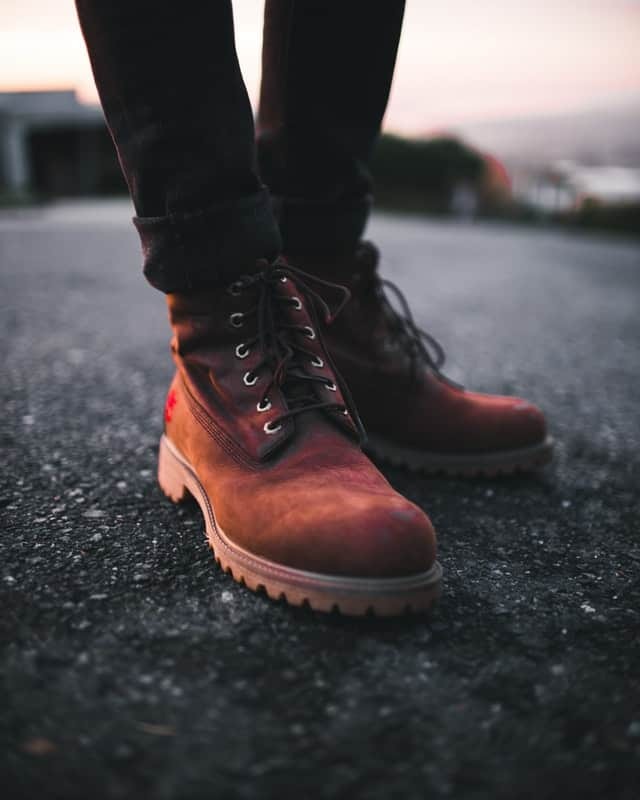 Their waterproof construction keeps your feet dry while Timberland’s unique Dynamic Anti-Fatigue technology footed keeps them comfortable and energized throughout the long days. Chance are you’ve heard of CAT, the heavy equipment manufacture, aka the staple of most jobsites. It shouldn’t come as any surprise to hear their footwear is often just as tough as their machinery. Meet the Second Shift steel toe work boot. 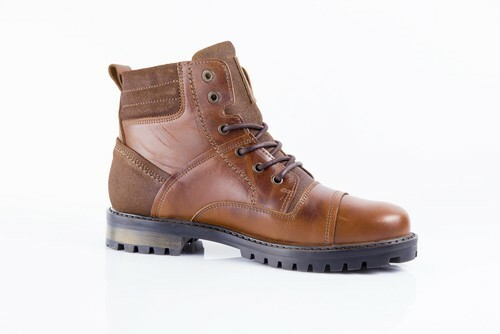 Each leather boot arrives with hex-shape grommets for laces, oil-resistant outsole, and single-stitched Goodyear welt. For personalization, Caterpillar offers two leather styles, dark brown and honey as well. Out of all the footwear you’ll find here today, CAT is perhaps one of the more hit or miss choices on the list. Some men get two years of them, others only two months. When you get a hold of a rock-solid pair they fare exceptionally well, but some occasionally they don’t. Discover rugged durability with Chippewa’s 9″ Steel Toe Logger boot. 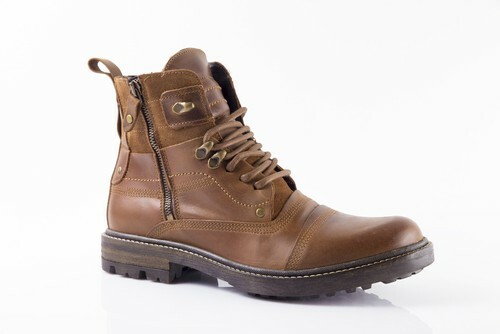 Each arrives with a Briar OiledRuby Dri-Lex leather exterior, 460 InsoleChip-A-Tex, and Vibram Outsole. You’ll find nothing short of top-grade craftsmanship and remarkable construction, which is a given when you consider each pair is made here in the USA. Just keep in mind, these shoes are considerably heavier than most. 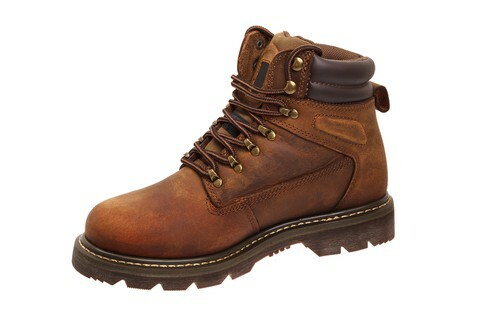 Meet the Vicious 4.5″ NMT work boot by Danner. Each pair features a 100% waterproof construction with a breathable Gore-Tex liner. An oil and slip resistant outsole keeps your feet planted firmly, which a low-profile 90 degree heel keeps you feeling comfortable all day long. On the exterior you’ll find oiled Nubuck leather which comes in two different versions: Blue/black or Brown/orange. 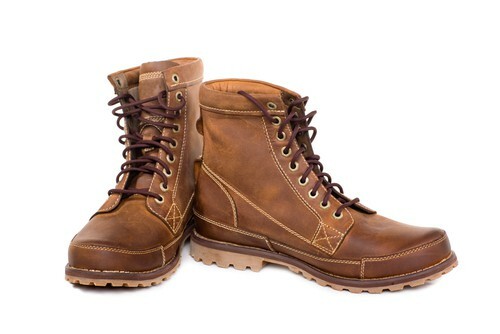 Another fine choice from Danner is their larger 8″ boot, which features protection that extends far above the ankle. You’ll get all the features as their NMT 4.5″ boot above, just in a different model of course. If you’re not familiar with Irish Setter, you might end up overlooking them on accident. 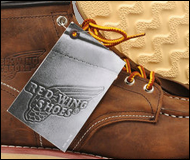 In reality, their made by Red Wing Shoes, which also means you’ll get fine USA craftsmanship. On the exterior of these 6″ boots, you’ll find a heat-resistant EVA outsole (capable of withstanding 475 degrees F temperatures), and full-grain Trout Brook waterproof leather. On the inside, each arrives with an aluminum toe to help keep the weight down. 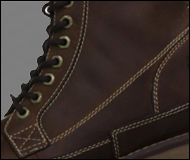 The small details are what really makes Wolverine’s 6″ Moc Toe work boot stand out. Sure, the handsome leather exterior has its charm, but what you’ll come to also enjoy is the padded collar, lace-up vamp, and cool contrast stitch work. On the bottom of every pair you’ll find a wedge outsole designed to resist oil and water, plus any abrasive abuse. A Goodyear welt construction with a Nylon shank midsole offers peace of mind on the job site. Keen’s Utility Milwaukee 6″ work boots welcome chemicals and electrical hazards with pleasure. With safety in mind, these steel toed boots come fully-packed with durable features. You’ll find a Keen welt construction, abrasion/water-resistant tough-tec leather, metal hooks, lacing eyelets, and much more. Timberland Pro Pitboss boots don’t mess around when it comes to durability. The massively long list of features includes a handful of pluses like: Heat-resistant rubber, steel safety toe, electrical hazard protection, antimicrobial treatment, comfort suspension technology and more. 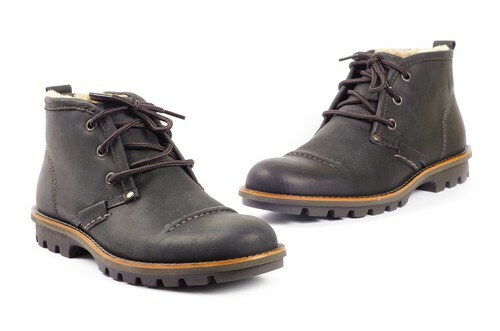 A Goodyear welt construction and rugged Nubuck leather certainly help their already high level of appeal. While not a true construction boot in the sense, it’s hard to ignore a fine classic. Against the others they’d fit into a lightweight division sure, however, the 1907’s still keep up exceptionally well with the durability farm and factory work demands. 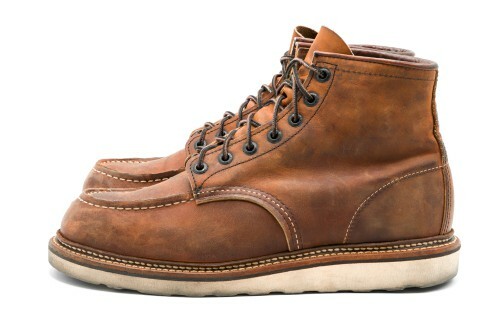 In fact, their one of Red Wing’s oldest and best selling boots to date. 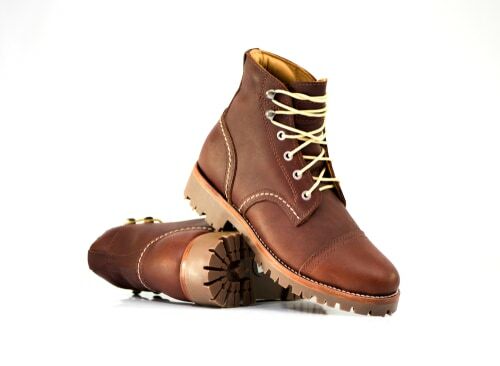 Each arrives with chestnut leather laces, copper rough and tough leather, Goodyear welt construction, and dark gun metal eyelets. 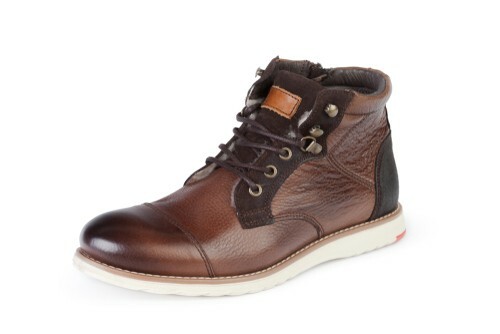 Step on in and you’ll notice the generous interior space Wolverine offers with their W08289 steel toed boots. Their ultra comfortable construction makes cramped toes a thing of past, which is a heaven to hear for anyone working on their feet for eight or more hours a day. Beyond comfort, you’ll like their tough attitude. On the exterior, each features beautiful full-grain leather, an oil and water resistant polyurethane wedge outsole and Goodyear welt construction. You’ll also find a nylon shark midsole plus a removable full-cushion footbed. Wolverine’s combined ContourWelt and MultiShox into one boot, the Buccaneer,, giving you the ultimate in flexibility, without sacrificing durability. They’ve managed to engineer a rock-solid work boot with all the features you’d expect along with it. I’m talking about waterproof full-grain leather, a sweat-wicking mesh lining, lightweight PU midsole and more. A step above the rest, Timberland’s Pro 8″ Gridwork boots tackle industrial and heavy duty work with ease. Available in black and brown full-grain leather, each comes with anti-fatigue technology, a waterproof membrane, electrical hazard protection and an antimicrobial treatment. Best of all, these boots are all-weather rated. You’ll find a flat wedge outsole that grips everything from ice to oil with pure, rock-solid strength. A fiberglass shank offers a touch of more support, while an alloy safety toe keeps you worry-free. One look at Red Wing’s Heritage Roughneck work boots and you’ll know they mean serious business. If you’re an oil rig worker, you’ll know where the nickname comes from and how Red Wing tied in the traits. With a Vibram lug outsole, roughneck leather, Goodyear welt construction, and steel shank, these boots mix exceptional style with long-lasting durability. A simple style with a stunning construction. 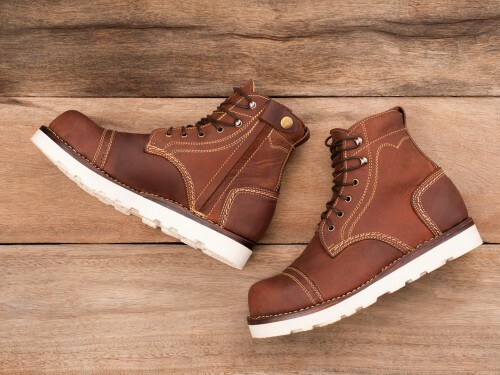 From concrete to carpentry, Timberland’s Pro 6″ wedge sole boots work just as hard as you do. Each arrives with a premium full-grain leather exterior, rubber outsole, open-cell polyurethane footbed, and EVA midsole. Their as comfortable on the eye as they are on the feet. To take their Pro line to the next level, Timberland incorporated an Independent Suspension Network system into their new Crosscut logger boots. Lingo aside, it’s a multi-density sole with comfort lugs that work separate from each other. The end result is an added level of cushioning that adapts to any environment. When you need more comfort, the Crosscut delivers. Of course, these work boots also feature a waterproof membrane, heat-resistant Vibram outsole, steel safety toe, antimicrobial treatment for odor control, three-rib steel shank, and much more. You’ll find the right amount of flex with Wolverine’s 6″ Raider work boots. Each features compression pads to absorb shock and a Contour Welt for maximum bending without breaking. For breath-ability in the hot summer months, Wolverine has added a wave mesh lining. For traction on the job site, you’ll find a rubber lug outsole which resists everything from oil to abrasion, chemicals, heat and more.